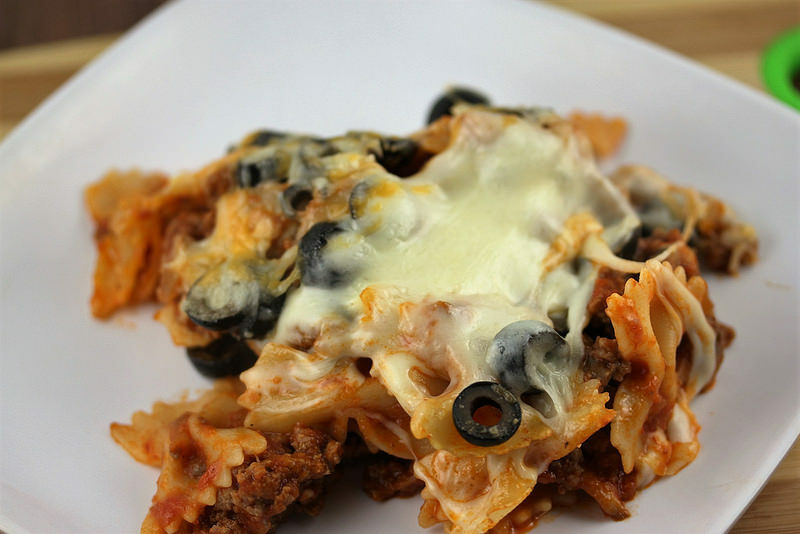 This Cheesy Bow Tie Casserole is rich and flavorful and is simple to put together. If you have any leftovers they make for a delicious lunch. Flavors will vary a little bit depending on the brand pasta sauce you use. Cook pasta according to package directions for firm; drain. While pasta is cooking in a large skillet over medium high heat cook the burger, onion, and mushrooms until burger is no longer pink inside, onion is softened, and mushrooms are tender; drain any excess fat if needed. Mix the pasta sauce into the burger mixture, bring to a boil, and season with the red pepper flakes. Add ½ of the mozzarella cubes and stir until cheese is melted. Mix the sauce into the pasta until thoroughly combined. Spoon the mixture into a 2.75 quart casserole dish lightly sprayed with cooking spray and distribute the remaining mozzarella cheese cubes over the top. Top with the black olives, Colby & Monterey Jack , and Parmesan cheese. 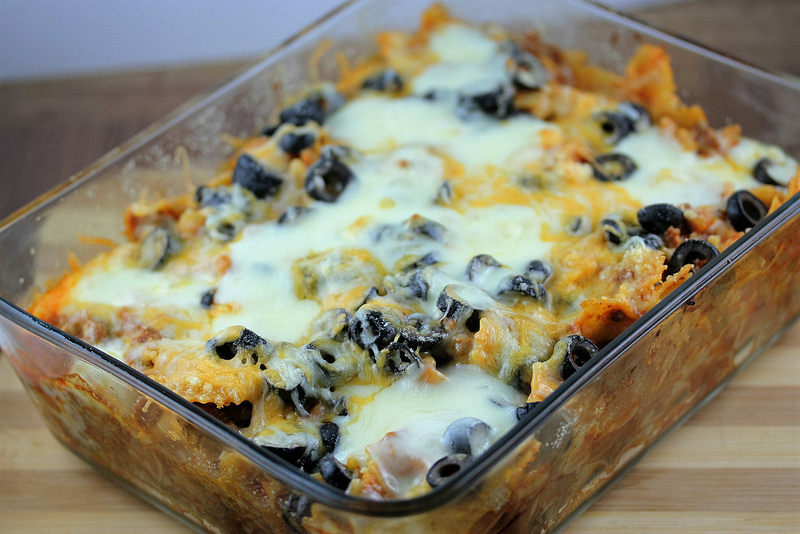 Bake for 20 minutes or until cheese is melted and mixture is hot and bubbly – Serve hot.